It's Worth It! - IT'S WORTH IT! Be yourself! 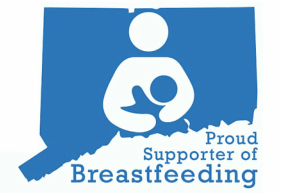 Think about what helped you prepare for breastfeeding (classes, family advice, etc. ), your hospital experience, obstacles you overcame, the influence of support, or a particular breastfeeding story that you will never forget. Avoid weari​ng clothing that shows brand names/logos or characters. Choose a well-lit area without distractions such as wind, background music, t.v., people walking by. Speak clearly, no need to rush. You are the expert, tell other moms what to expect and why breastfeeding is worth it. Tripods or webcams are great for proving a steady image. When you are finished speaking, please say, "It's Worth It". Natural is awesome. Motherhood is messy, don't shy away because you are not wearing make up or your hair is not perfect. High resolution shots are necessary. If sending in from your phone, choose actual size photo files not S/M/L.